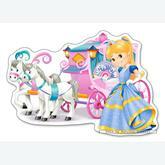 Princess There are 7 products. 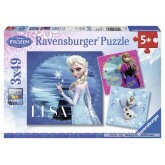 A 49 pieces jigsaw puzzle made by Ravensburger (reference 092697). Size: 18 x 18 cm (= 7.1 x 7.1 inch). Special series: Disney. In stock and ready to ship out. Frozen In stock and ready to ship out. 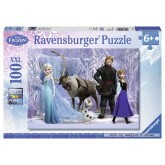 A 1000 pieces jigsaw puzzle made by Puzzelman (reference 059). 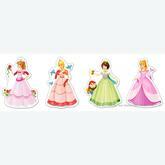 Size: 68 x 48.5 cm (= 26.8 x 19.1 inch). 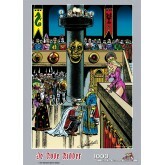 Special series: The Red Knight. 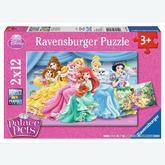 A 12 pieces jigsaw puzzle made by Ravensburger (reference 075805). Size: 26 x 18 cm (= 10.2 x 7.1 inch). Special series: Disney. In stock and ready to ship out. 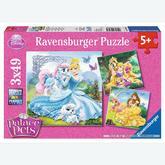 A 49 pieces jigsaw puzzle made by Ravensburger (reference 093465). Size: 18 x 18 cm (= 7.1 x 7.1 inch). Special series: Disney. 4 in a box: 4-5-6-7 pcs In stock and ready to ship out. A 12 pieces jigsaw puzzle made by Castorland (reference 120017). Size: 47×33 cm. Special series: Extra Large Pieces. In stock and ready to ship out.